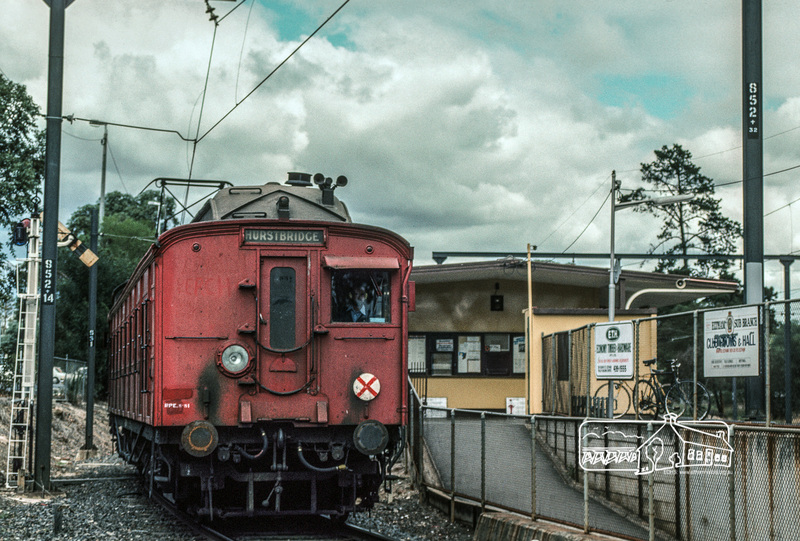 May | 2018 | Eltham District Historical Society Inc.
#ThrowbackThursday – Today we time travel back to 1983 and Eltham Railway Station. 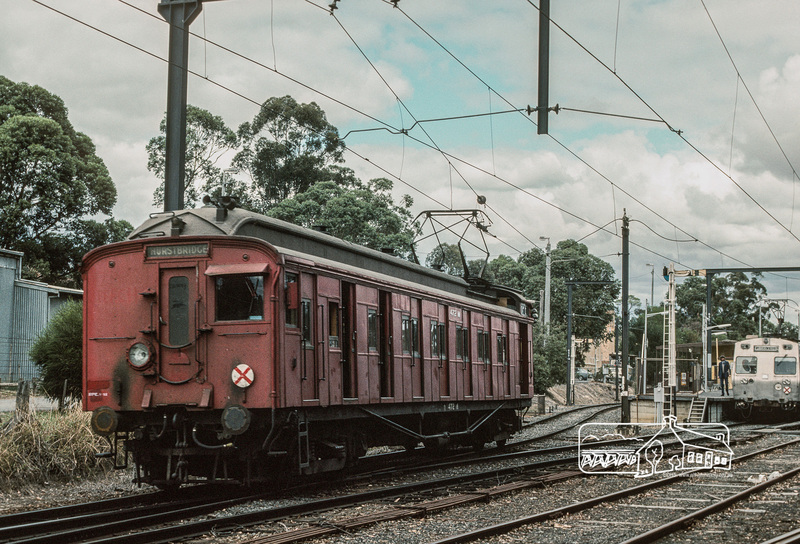 A single carriage ‘Red Rattler’ Tait train from Hurstbridge is about to arrive at Platform 1 where it will shortly depart again for Hurstbridge. 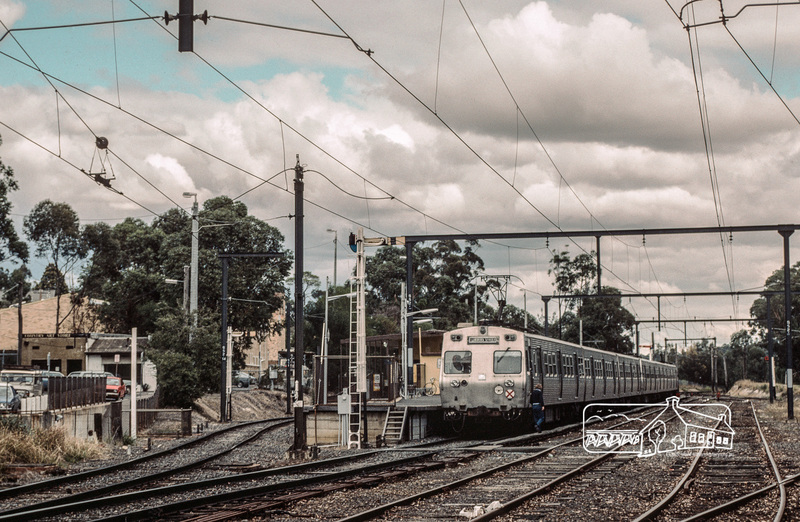 A Hitachi electric train sits at Platform 2 awaiting departure for Flinders Street. 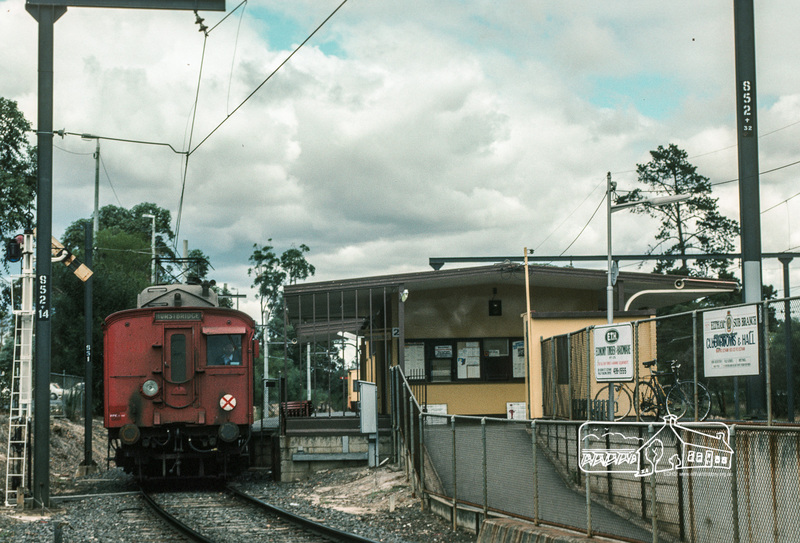 The last of the Tait trains were withdrawn from service in December 1984. 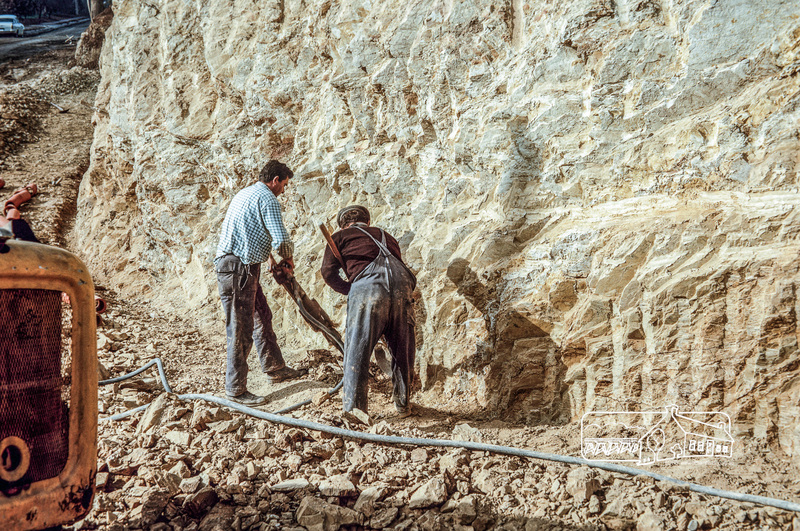 #ThrowbackThursday – Roadworks, what a pain, and there seem to be so many going on lately. In reality the short term pain brings long term gain. 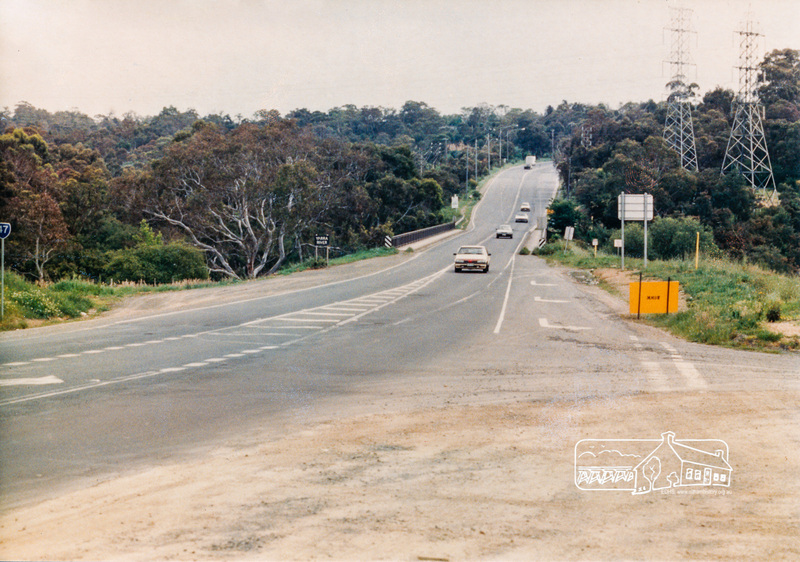 After all, imagine what Fitzsimons Lane Bridge would be like today if it was still only a single lane each way. 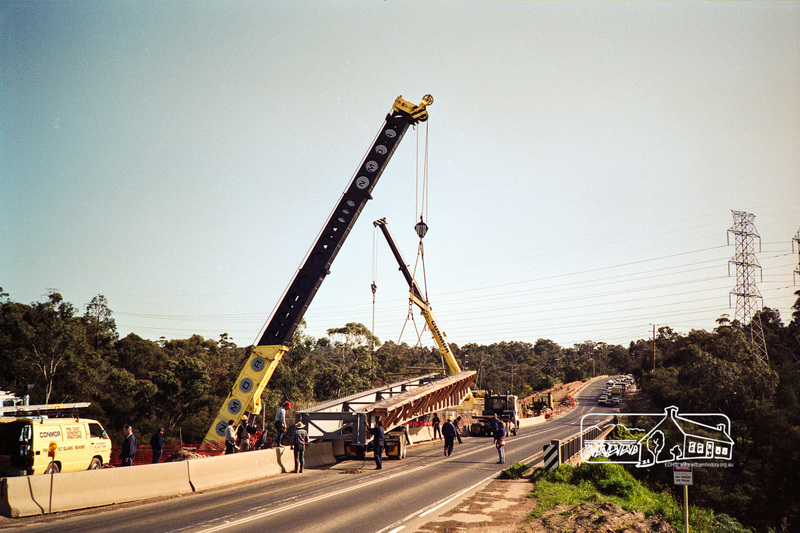 So today we time travel back 27 years to July 1991 where we can see work in progress, craning the final steel and concrete section into position to connect the Templestowe and Eltham ends of the duplicated bridge. 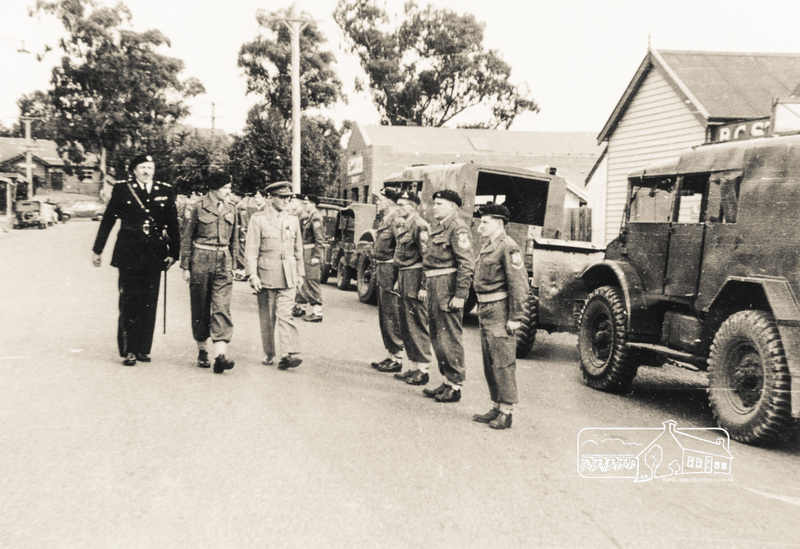 Originally Fitzsimons Lane was the name of the road on the Templestowe side of the Yarra River; on the Eltham side it was known as the Eltham-Templestowe Road. 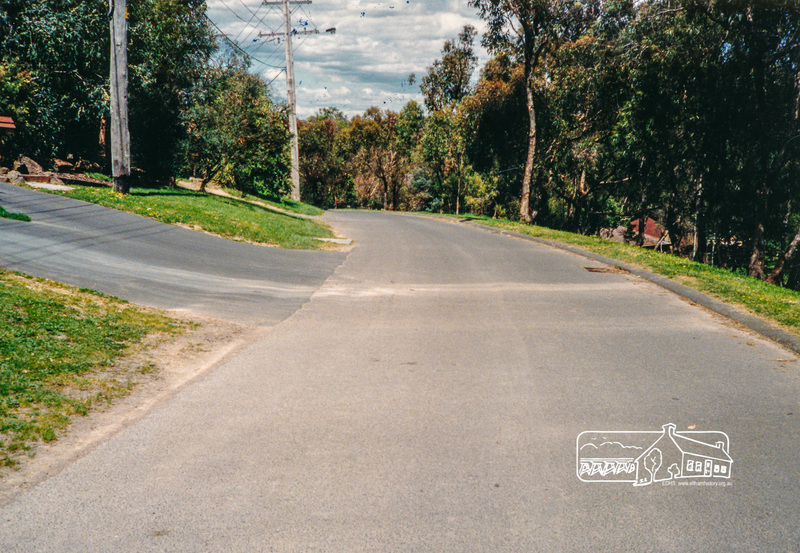 The road is divided on the Templestowe side but not on the Eltham side. 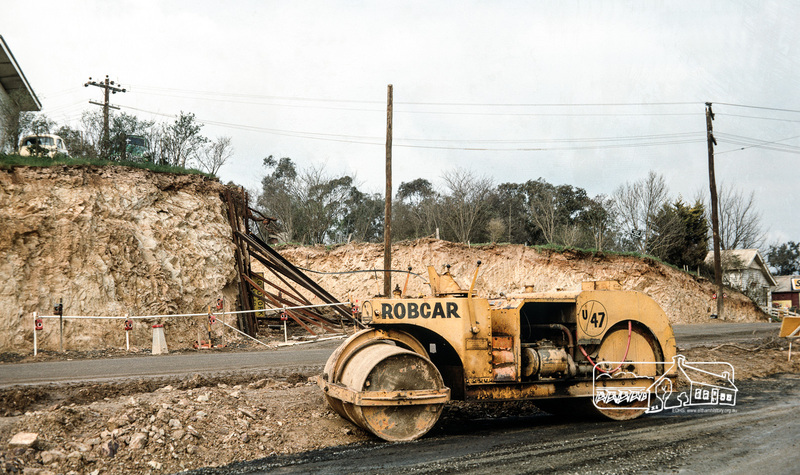 When the new bridge was built c.1966, the divided road was not continued in the Shire of Eltham as it would have required a significant widening of the cutting. 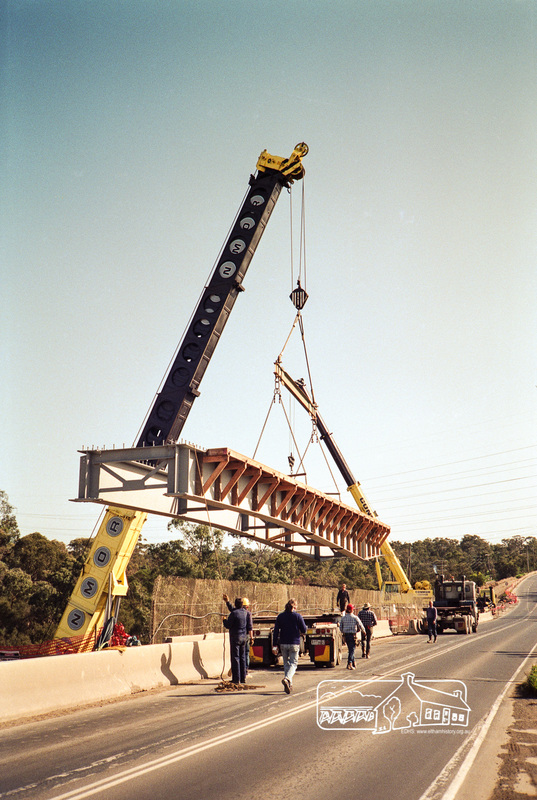 Installation of the final section to join the two ends of the duplication of Fitzsimons Lane Bridge, 6 July 1991. 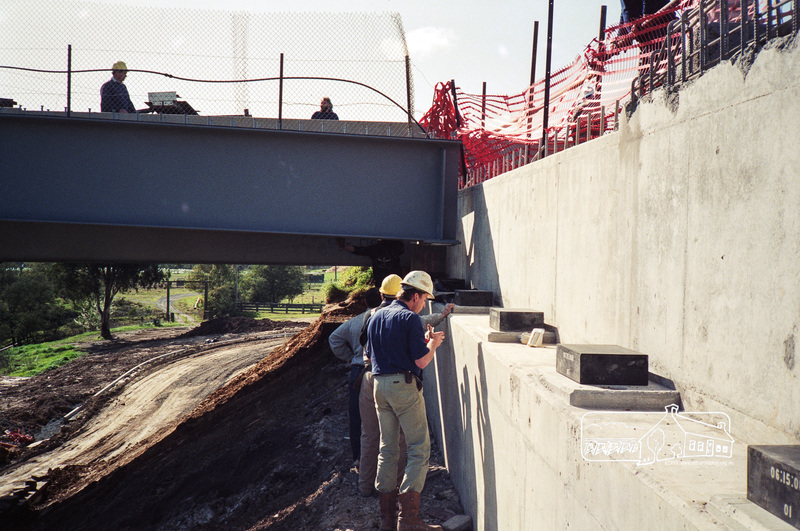 Bridgeworks on Fitzsimons Lane across Yarra River, Eltham, 1991. 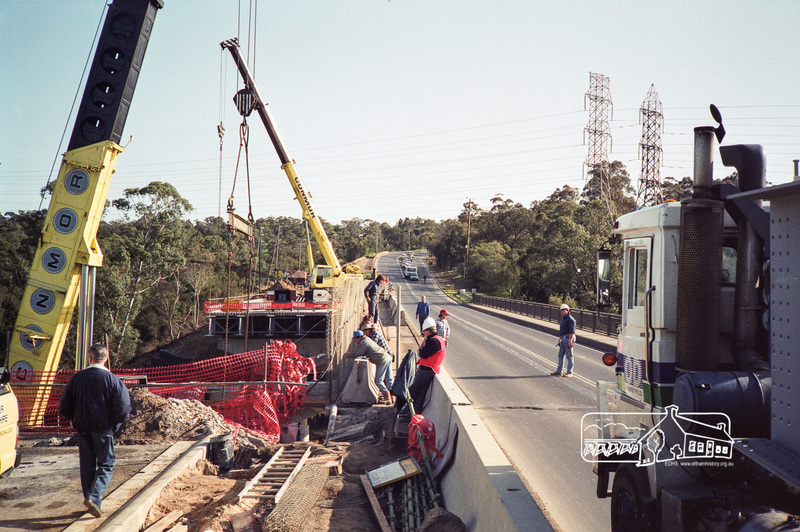 The new lanes are now in place and final works are in progress. 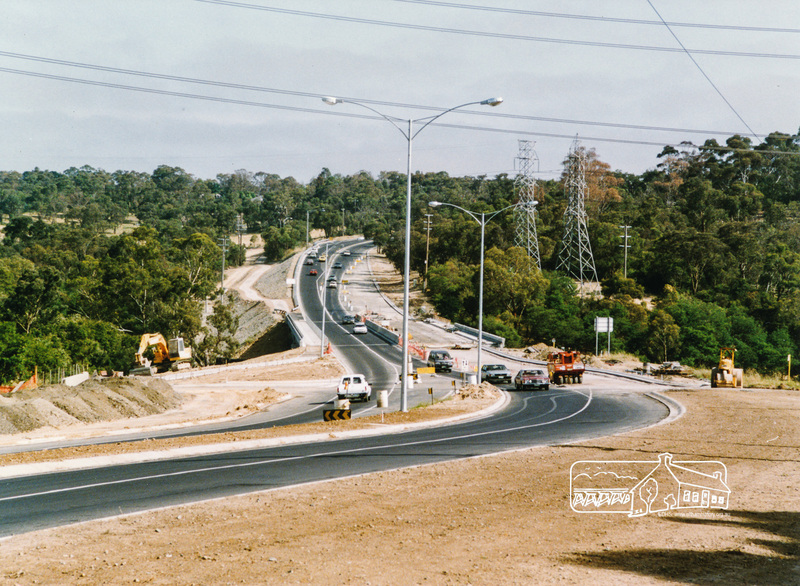 Looking north across the Fitzsimons Lane Bridge over Yarra River between Eltham and Templestowe, c.1985. 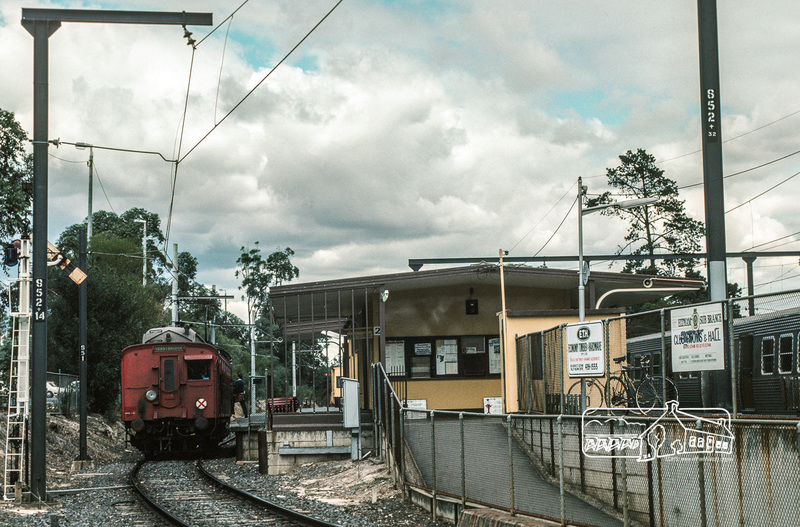 Turnoff to Candlebark Park on right. 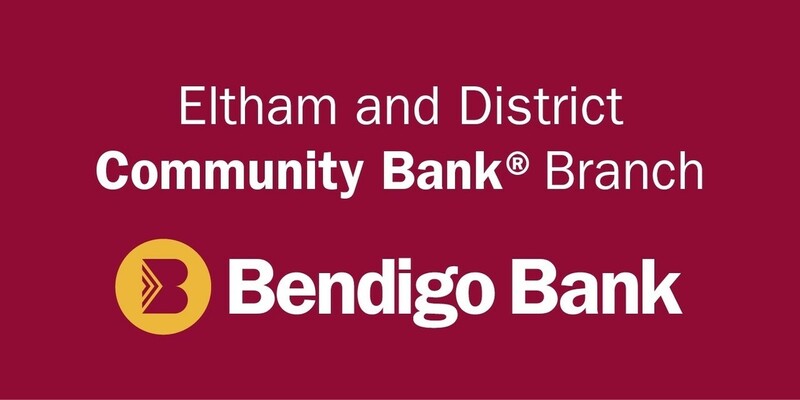 It can be seen that the road on the Eltham side has now been widened to two lanes each way, merging to a single lane to cross the bridge. 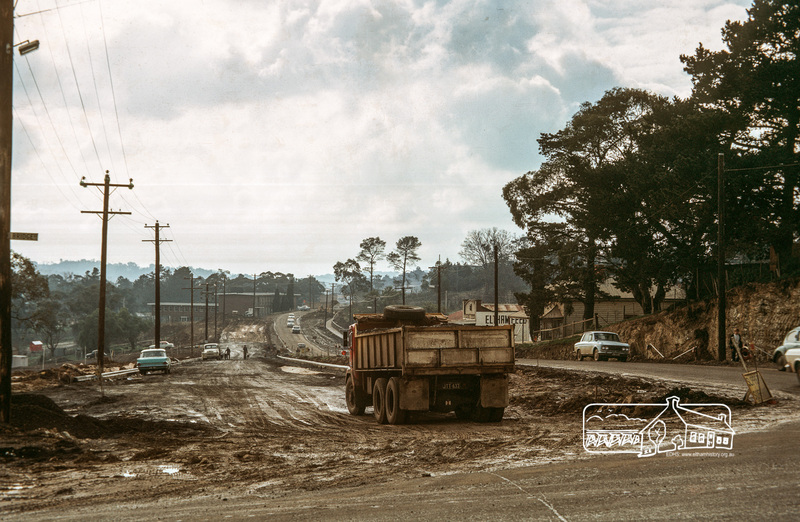 Looking north across the newly constructed Fitzsimons Lane Bridge over the Yarra River between Eltham and Templestowe, c.1966. 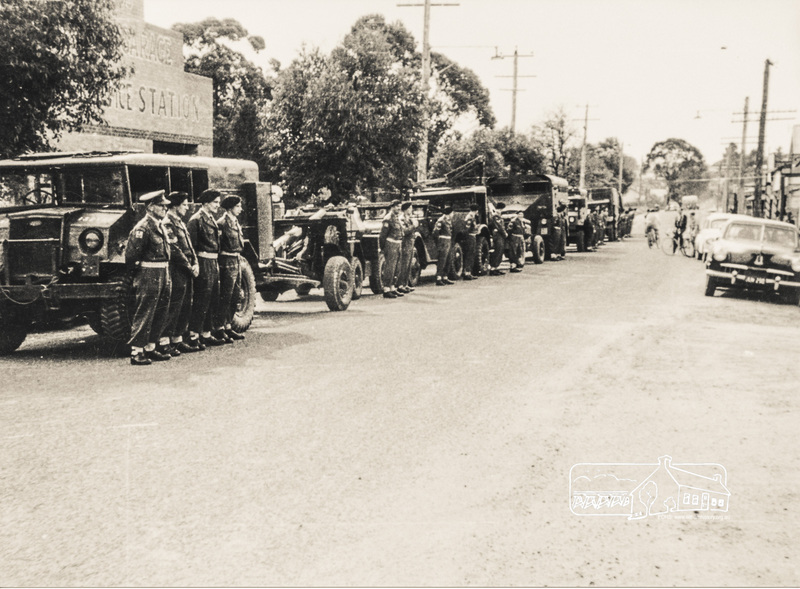 It can be seen that the road on the Eltham side is only a single lane. 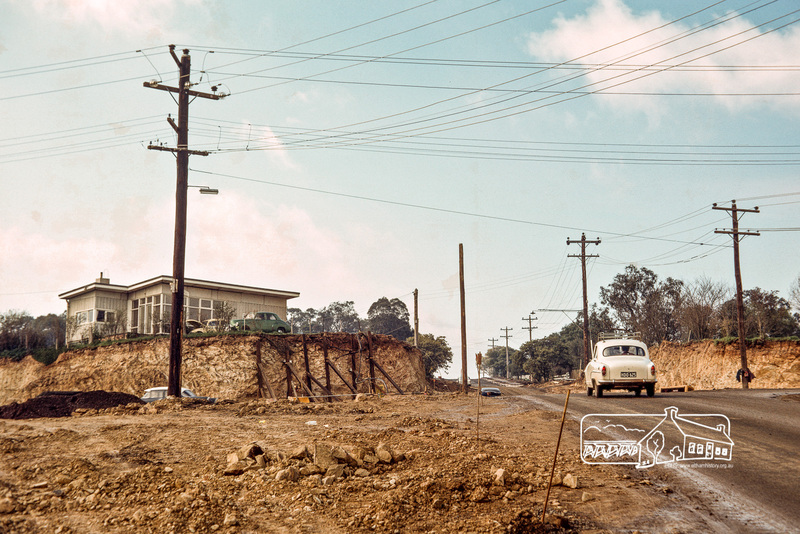 #ThrowbackThursday – Today we time travel back to 1968 and the intersection of Bridge Street and Main Road. 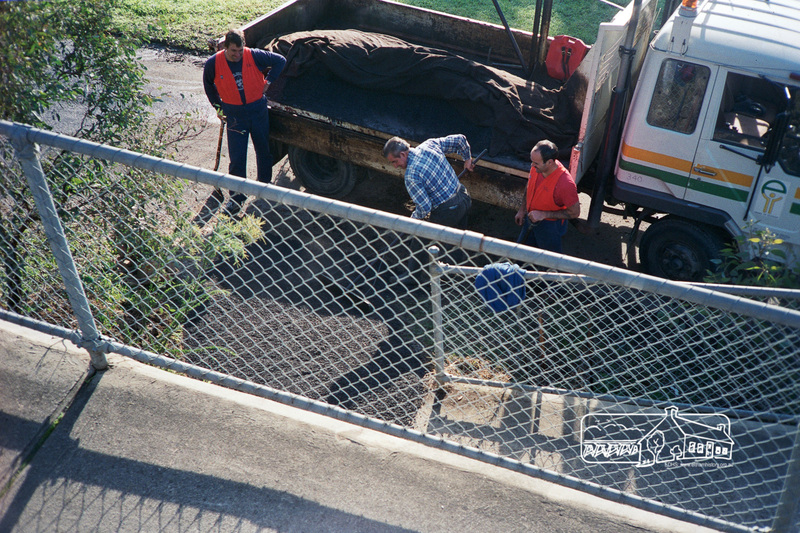 Roadworks are well under way for the widening of Main Road from Pitt Street to Elsa Court. 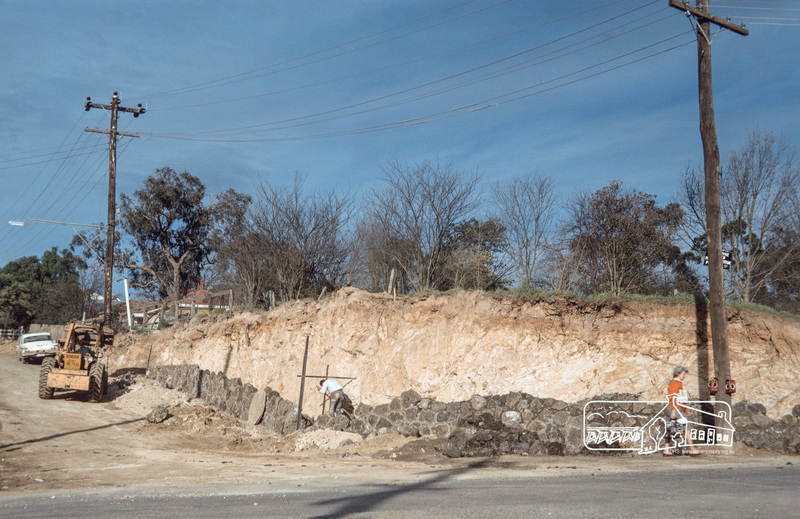 Extensive works were being undertaken to revise the intersection of Bridge Street. 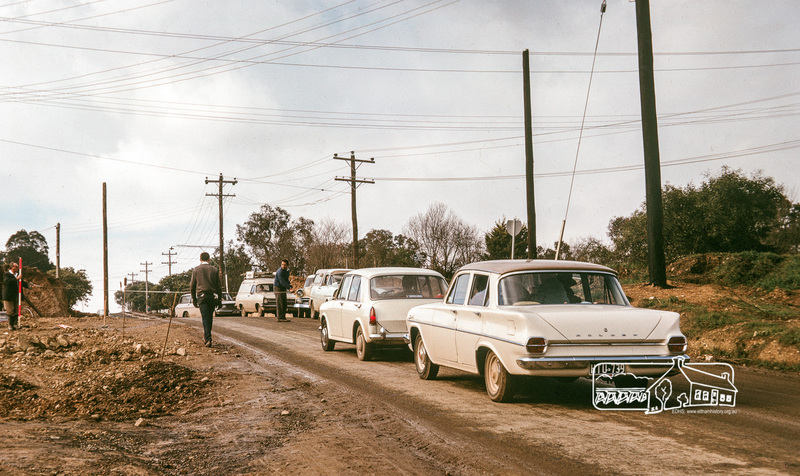 As a consequence, traffic delays were an everyday occurrence. 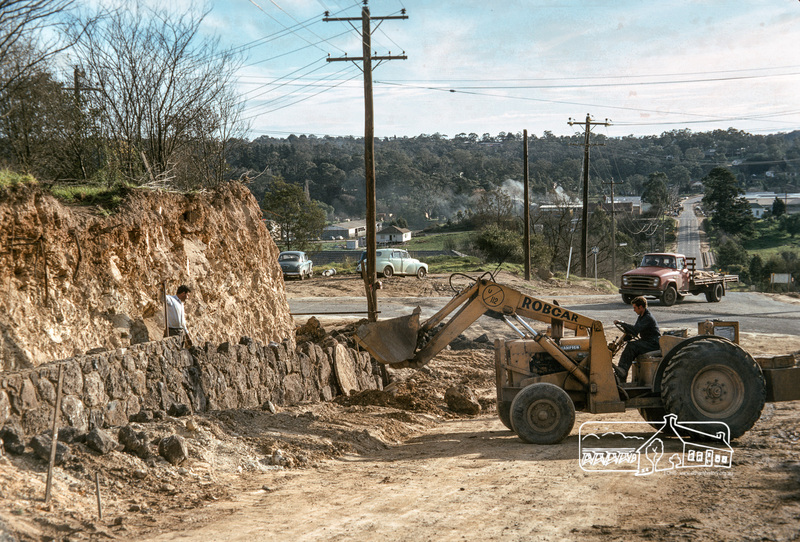 Main Road duplication at intersection with Bridge Street, Eltham, 1968. 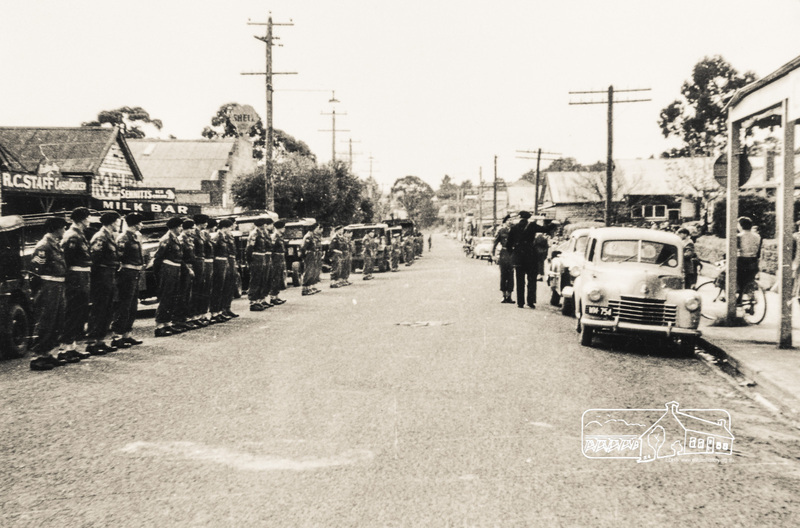 Shows the Eltham Shire Office, the construction of Panther Place and the new section of Main Road which was to become the northbound lanes. 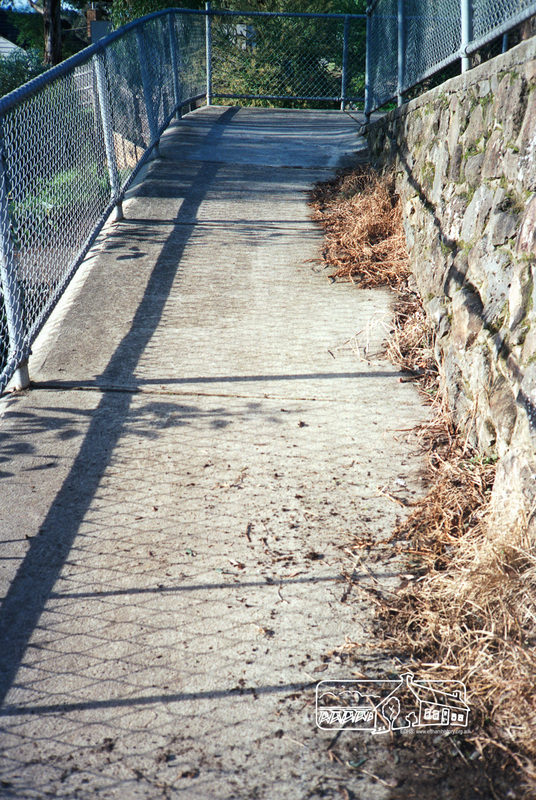 #MysteryMonday – Today’s images are from a roll of negative film and feature maintenance work to a footpath section linking two roads at different levels. It’s quite unique so anyone who knows it should recognise it immediately. Can you identify these? 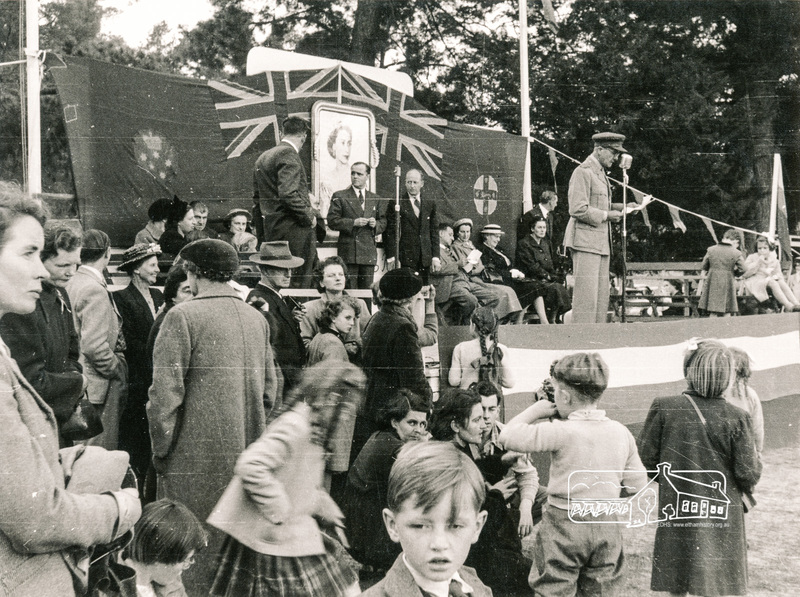 We’d love to hear from you; your thoughts and suggestions as to where they are and help us catalogue these images. 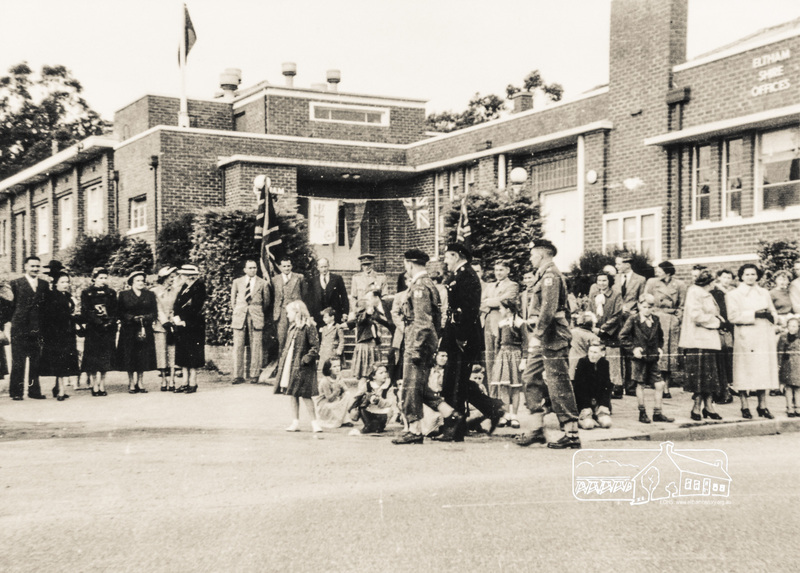 #ThrowbackThursday – Eltham today is just getting busier and busier; more housing and unit developments, more people and lots more traffic. 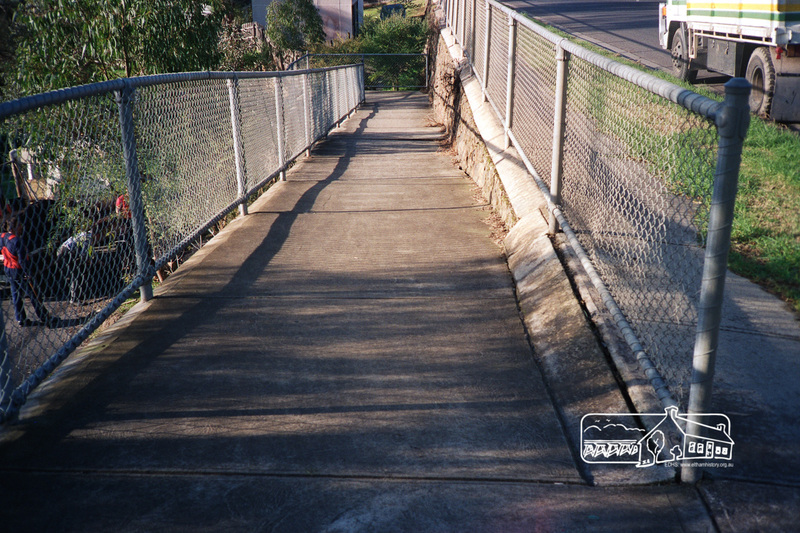 And a stroll along the Diamond Creek Trail during footy season weekends near Central Park will encounter plenty of people watching the latest game; you would be lucky to even find a car park. Next time you wander along the trail or head down to watch a game, cast your mind back a hundred years or so and ponder what it was like. To set the scene, today we time travel back to circa 1913 to a point just beside the Diamond Creek, south of Central Park. 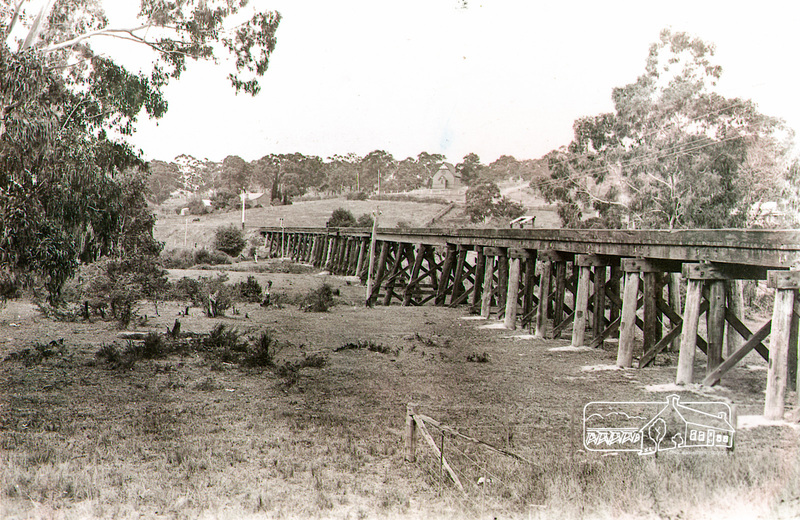 As we cast our eyes to the east we immediately see two of the iconic sights of Eltham; the timber railway trestle bridge built just over ten years earlier and Shillinglaw Cottage in its original location and the Shillinglaw trees standing proudly in front. 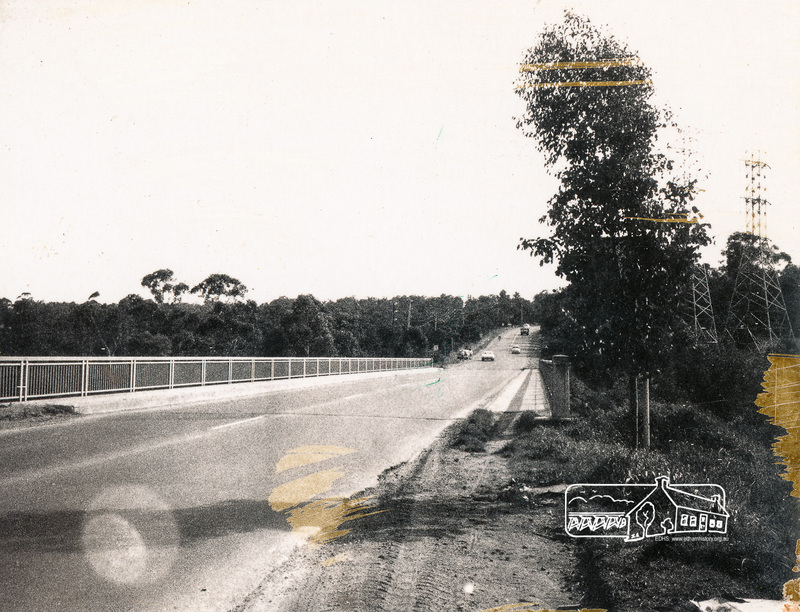 If you look carefully beyond the trestle bridge, past where the current Eltham Library now stands, you will also see a weatherboard building standing in isolation. This is the new St Mary’s Catholic Church on Henry Street near Main Road (or Maria Street). 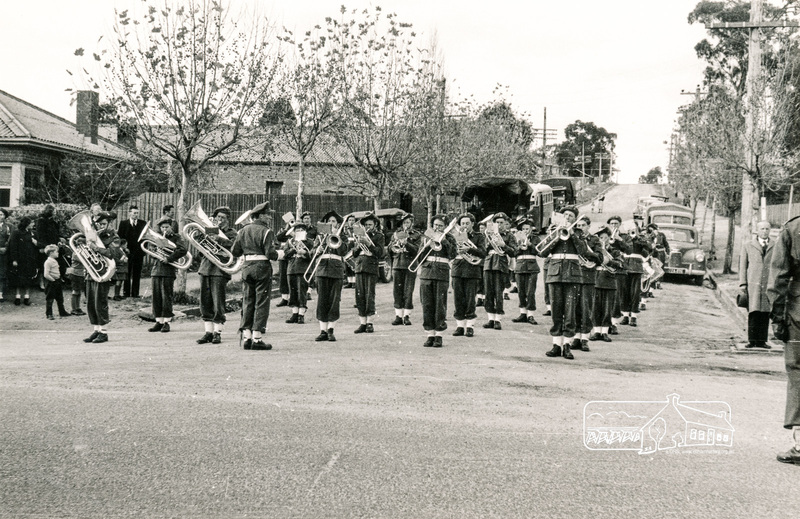 The church site had been relocated from further south along Main Road (near Wingrove Cottage) in order to be more central to the congregation following the shifting of the township away from Little Eltham and closer to the railway station. 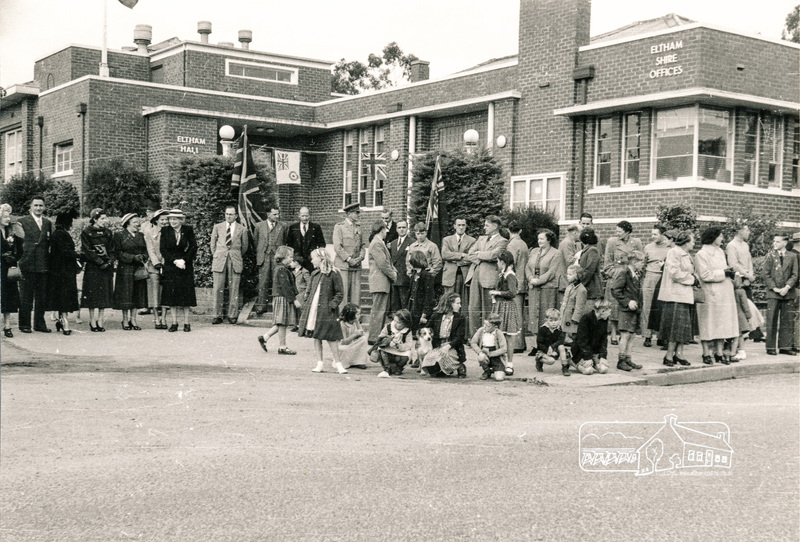 It was subsequently destroyed by fire in 1961. 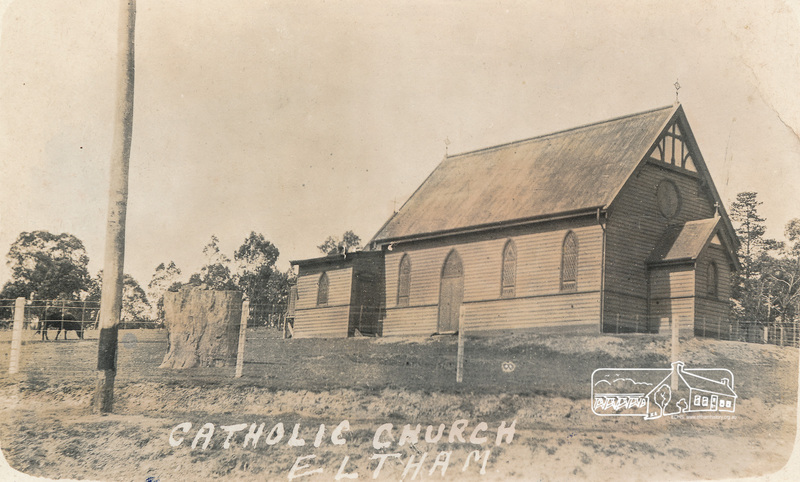 Postcard of St Mary’s Catholic Church, cnr Main Road and Henry Street, Eltham which was opened 13 October 1912 and subsequently destroyed by fire. 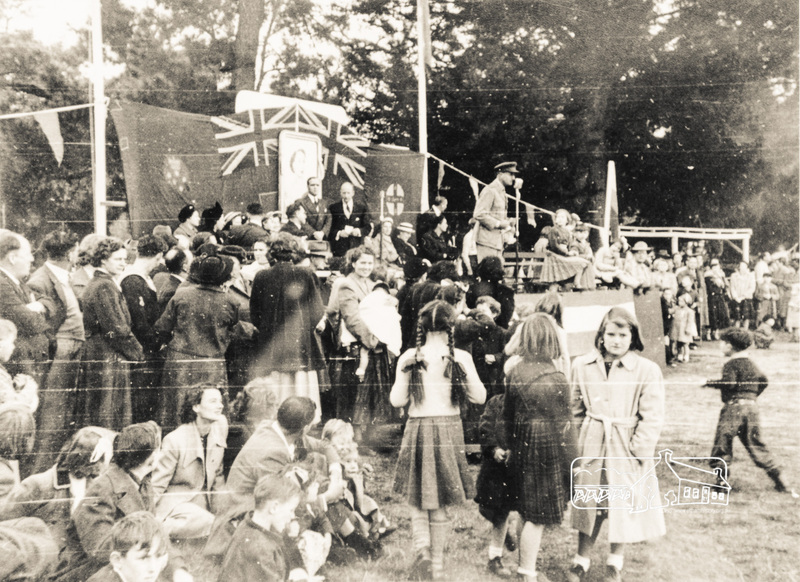 #MysteryMonday – Today’s image from our collection has a note suggesting it is View Mount Court. 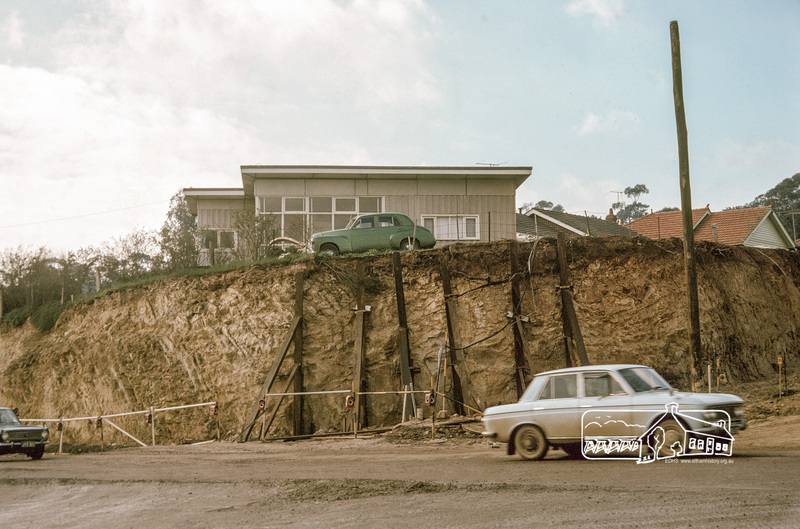 We believe this is an error and we have not been able to correlate this apparently older residential street development with View Mount Court. View Mount Court also has underground power supply whereas this street is clearly equipped with power poles. Still, we are happy to be shown where, if it is. If not, are you able to identify it for us?